1. Learn from the couponers. Although you may be buying different items (they’re buying baby food; you’re buying beans), there’s a lot to be learned from the extreme couponing crowd. Combining coupons with store specials can net you regular savings of 30 percent or more on non-perishable food items and toiletries. Take it a step further and join the grocery and drug store reward programs and you can find things like hand sanitizer, toothpaste and a host of other items for free that you can use in your survival kit. 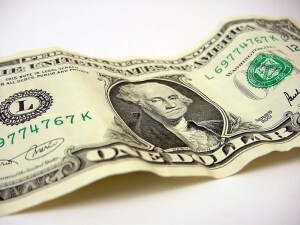 To learn more about couponing, check out sites like the KrazyCouponLady.com. Surplus stores, stores that sell dented cans or half lots of boxed items, can also be good places to find non-perishable food items. Learn how to create a price binder. 2. Be a regular at estate and garage sales. 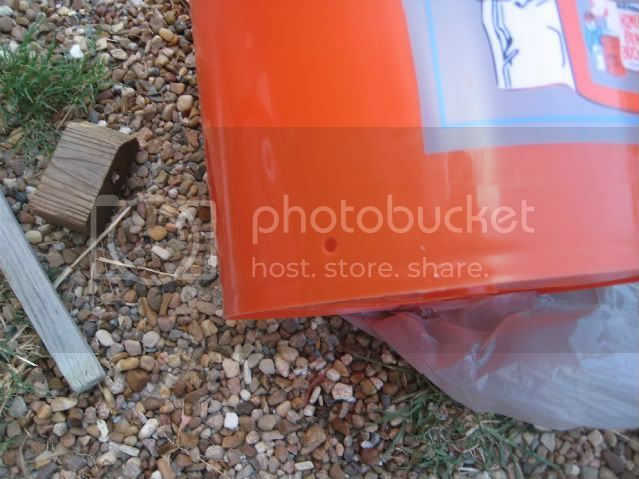 Estate and garage sales are other good places to find gear and supplies. Estate sales are especially good hunting grounds, since they feature an entire house full of goods. Some sales may require that you dig around in the attic a little bit, but there are often treasures to be found at cents on the dollar. Good things to look for at such sales are water containers, camping equipment and kitchen items. Some people also find good bargains on food at such sales. (I prefer to buy food directly from the grocery or market.) If you do look at food items, be sure to check the sell-by dates. 3. Shop off-season sales. 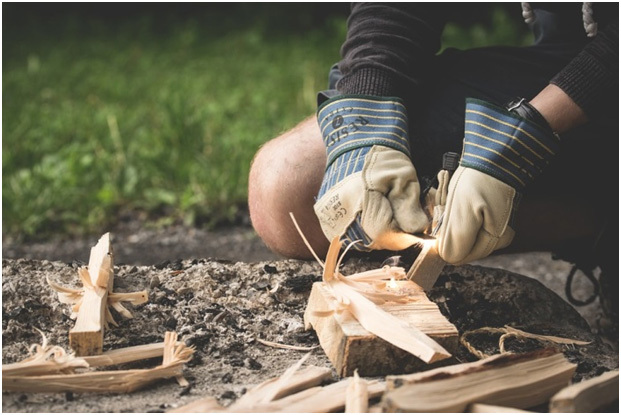 Off-season sales are another good place to find seasonal gear like camping equipment and gardening supplies at prices that are 50 percent or even 75 percent off of their original price. 4. Host your own swap meet. If you know others that are interested in the survival life, you can combine preparing your stockpile with a social night by hosting a swap meet. Have everyone bring something extra from their stockpile and let the trading begin. Review these 70+ survival items that cost less than $5! 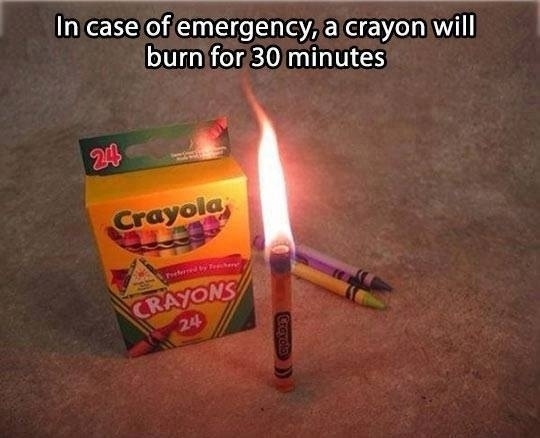 Being prepared for any emergency or situation doesn’t have to be expensive or all consuming. Like other aspects of life, it’s all about smart shopping and always keeping an eye out for a bargain. At Survival Life our mission is to provide vast array of knowledge, tactics, and skills in the survival and preparedness fields, to any and all who wish to become more prepared for whatever may come. 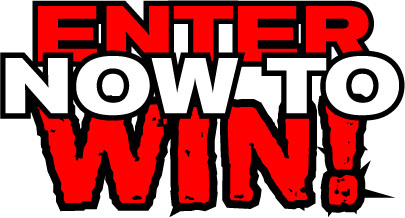 We strive to maintain a truthful and unbiased compendium of knowledge, both in original content, product reviews and survival tips, as well as curated articles from other top survival websites. 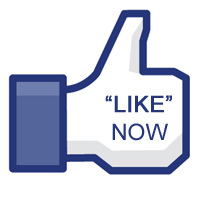 Click here to visit our site and learn more. You should probably print this post out before the Internet is gone forever. 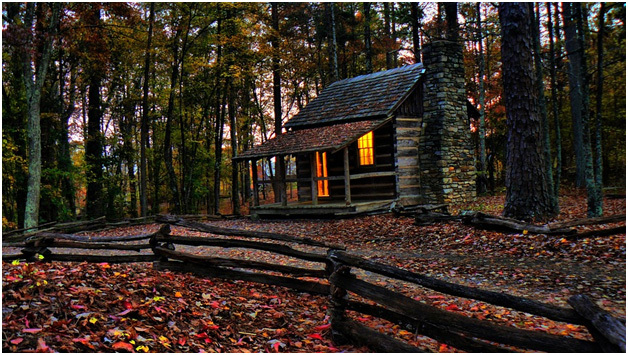 Clever ideas for surviving on or off the grid in any situation. 1. Only make one trip back from the community well. 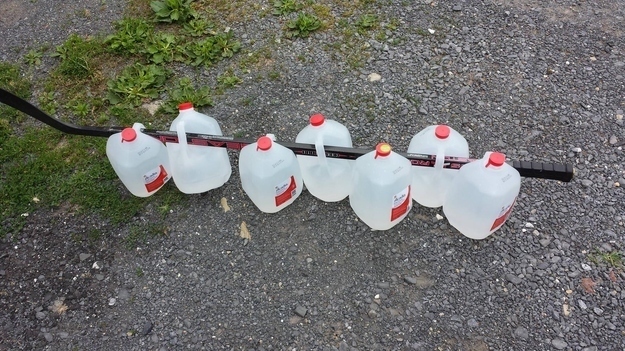 Use a hockey stick (or an old-fashioned regular stick) to loop sanitized milk jugs through. Sling over shoulders and you’ve enough drinking water to last your hut over a week! 2. 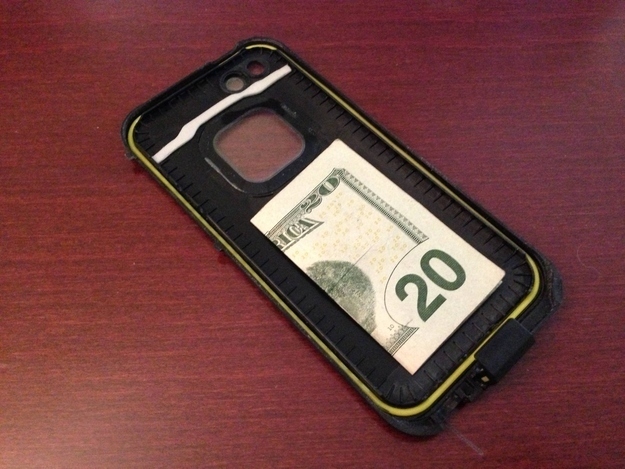 For when the economy recovers, hide money in a phone case. Most likely a desperate and futile gesture, but pop the back of your cell phone case off and hide a twenty spot in there, just in case. 3. 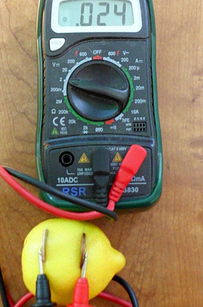 Turn lemons into lemonade or electricity. Your choice. Just because the world ended doesn’t mean you have to stop playing Candy Crush. 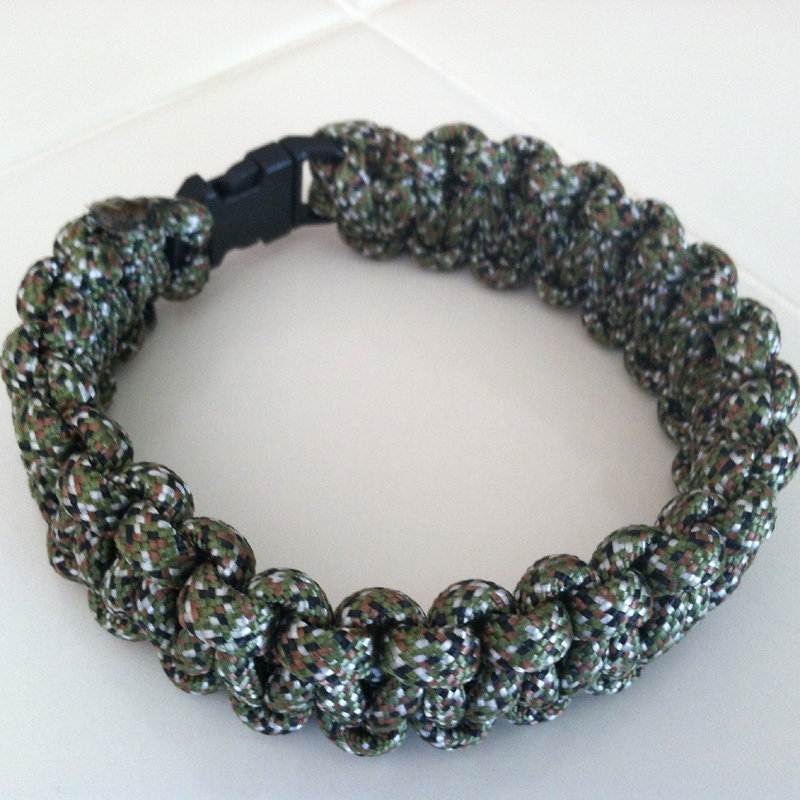 Get detailed instructions here. 4. Before braving the bee hive for wax, try this. Once you exhaust Grandma’s supply of scented candles, try your nephew’s crayons before cobbling together a beekeeper suit. 5. 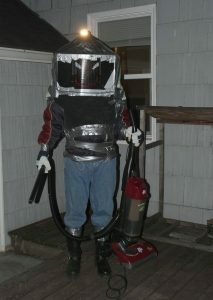 Okay, NOW cobble together a homemade bee suit. Troy used an old A/C casing, duct tape, and gardening gloves, but feel free to get creative! 6. THEN brave the bees to keep water (or blood) off your shoes. 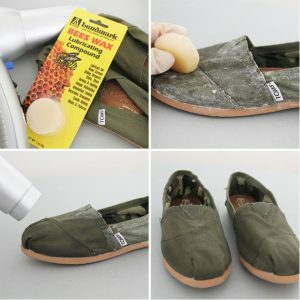 Shoes are a precious commodity in the wasteland of America so keep them in good condition with these step-by-step instructions. 7. 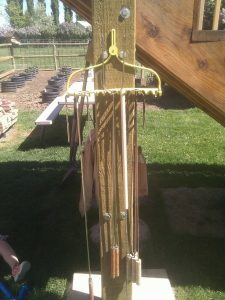 Convert a rake handle to organize farm implements and weapons. Just because the world is in chaos, doesn’t mean your tools have to be. 8. 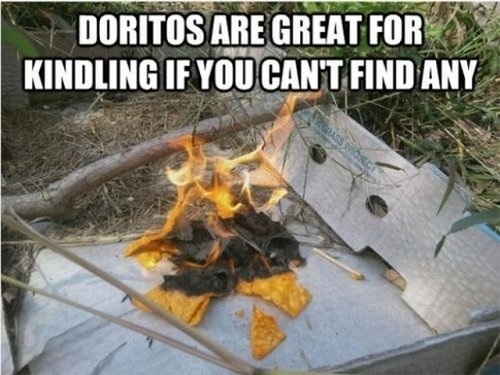 Finally, a use for Nacho Cheese flavored Doritos. Because no matter how hungry you are, they’ll never taste as good as Cool Ranch. 9. 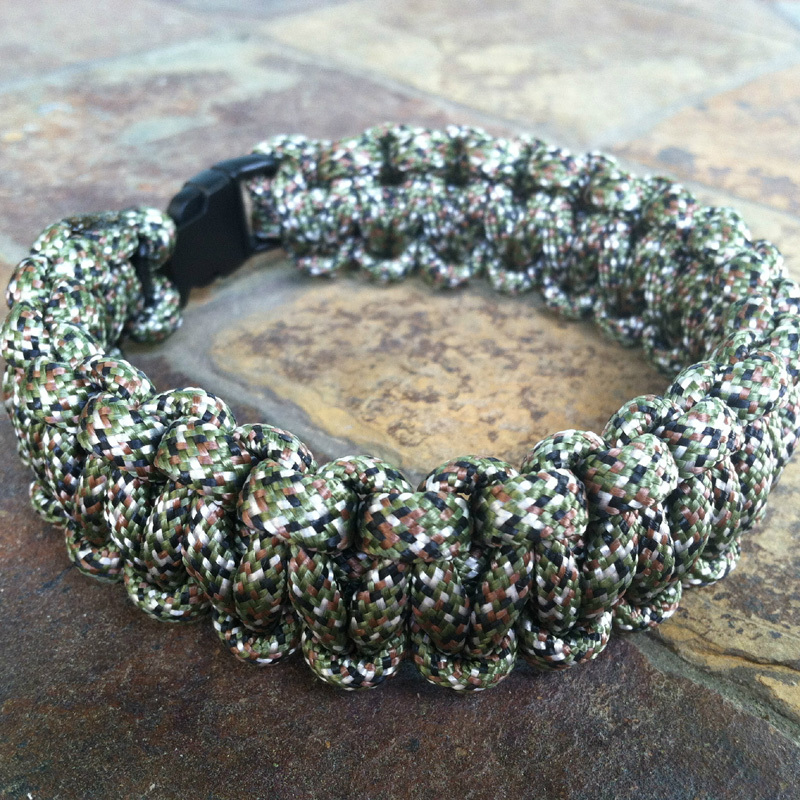 Make a fashionably functional bracelet out of paracord. 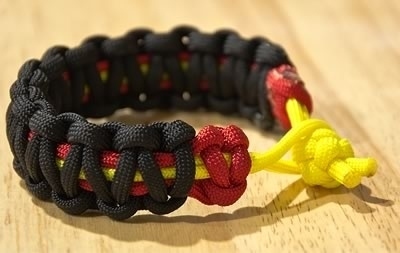 Created with 10 feet of the versatile rope using this cobra stitch, the colors can also serve to show which gang you owe allegiance too. 10. 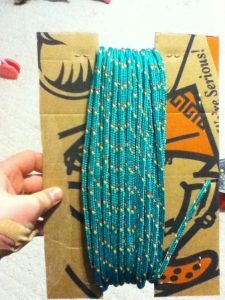 Then store the remainder on an old pizza box because no one likes tangled cords. A few cuts with a pair of scissors (or a knife if society has degraded far enough that scissors are a precious luxury) and you’ve got an Earth friendly rope holder. 11. 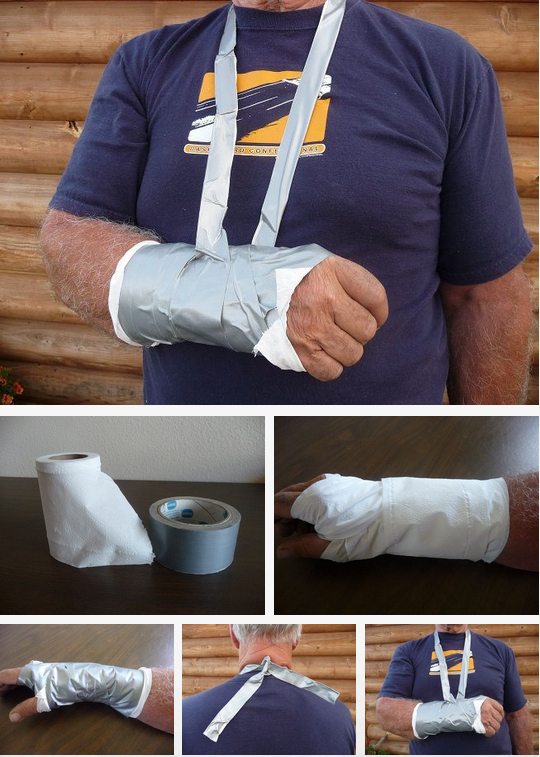 Set broken bones with toilet paper and duct tape. Once you’ve set the bone, use these instructions to hold it in place until it heals. 12. Or open that pesky jar, rusted shut after a decade. Forget bottle caps! With its infinite uses, duct tape is the new currency. 13. 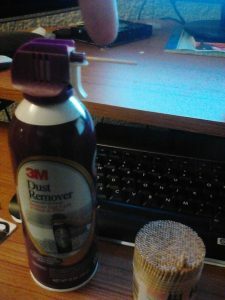 Kill time, and mutant cockroaches, with a toothpick gun. It’s all fun and games until someone loses an eye. Then it’s a power play making you dictator for life. 14. Slather up with baby oil to delay inevitable frostbite. 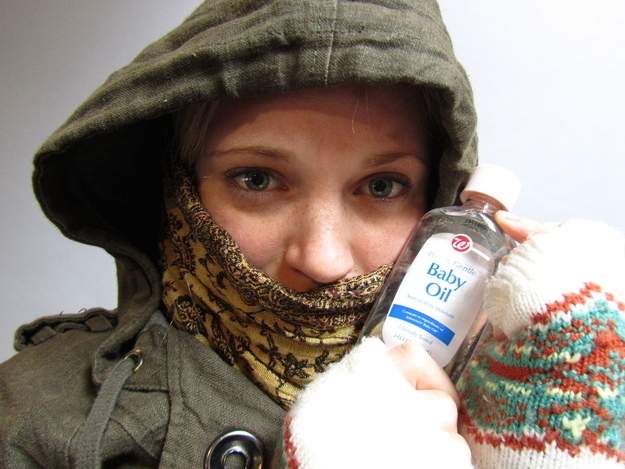 While not as good as gloves or just staying inside until spring, baby oil adds a thin layer of protection from the elements to keep you from chafing while foraging for supplies. 15. 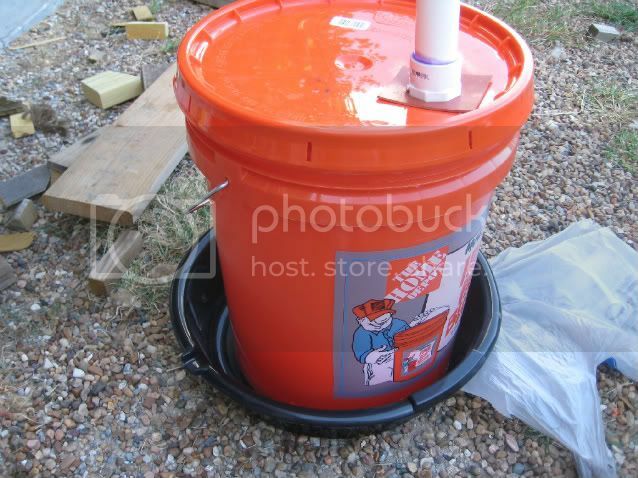 Keep West Nile and the plague at bay with a homemade mosquito trap. 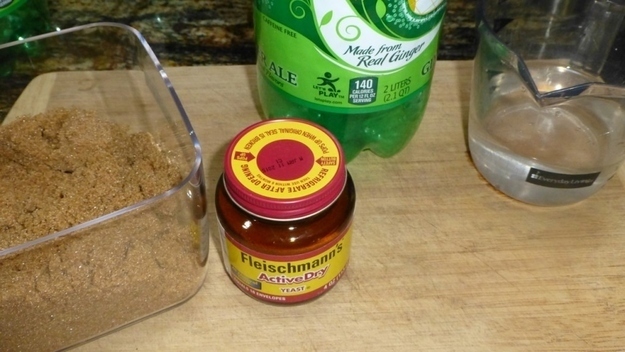 Speaking of spring, use brown sugar, yeast, hot water, and an empty two-liter to make a tempting mosquito deathtrap. Instructions here! 16. 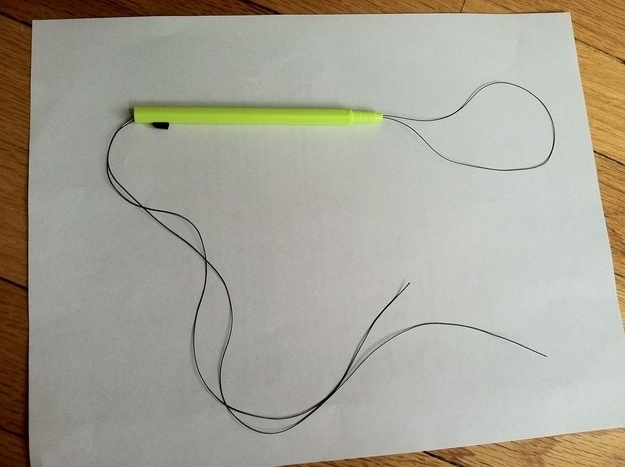 Lasso those pesky ticks with an old pen and thread. Mosquitos aren’t the only summer threat. An old mechanical pencil and some fishing line or thick thread can safely remove them. Not today, Lyme disease! 17. 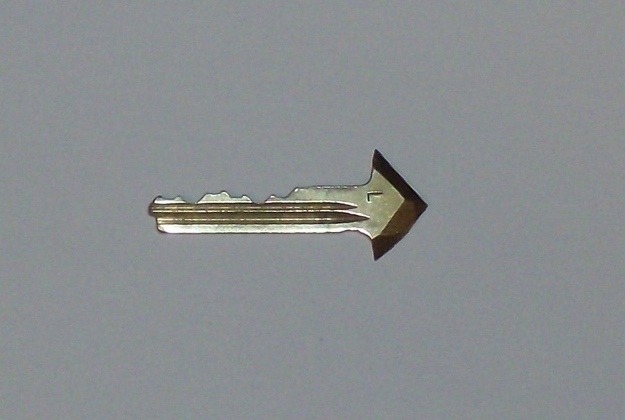 Convert keys into arrowheads, a far more effective home deterrent. Requiring more finesse than the toothpick canon but tremendously more effective. Follow the tutorial here and then make some dowel rod arrows to attach them too. 18. 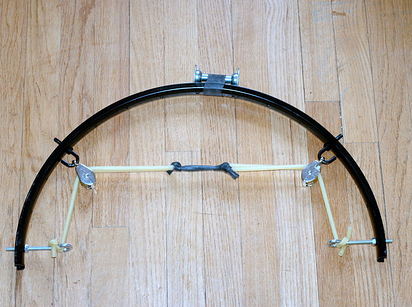 Then make a bow from an old bicycle. Using this guide to turn bicycle parts, a rubber hose, and a few odds and ends into a safeguard for your turf. Get the hell out of Dodge, literally. 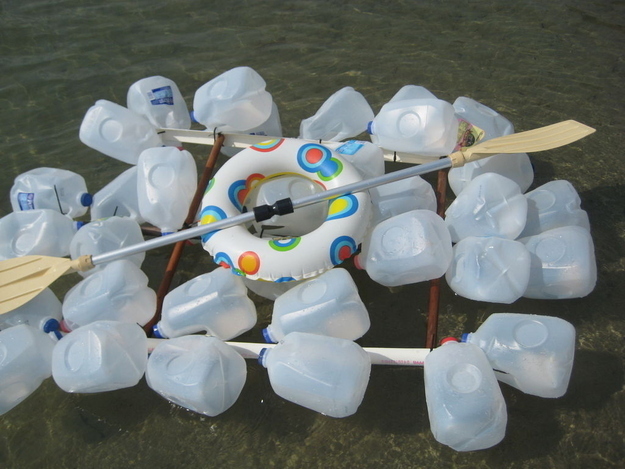 Using PVC pipe, wooden rods, and empty milk cartons, sail off into the wild blue yonder using these step-by-step instructions. 20. Pop a top and catch a fish while you’re on the water. While you float west, where surely everything is better and not a toxic wasteland (right? 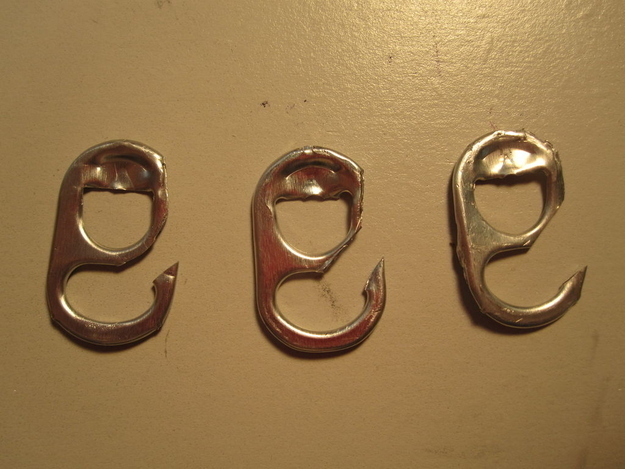 ), snap off the end of a pop top and loop some thread through the hook for a fast fishing lure. If The End Was Near: Would You Survive? In order to be a proper prepper, you have to do more than just store cans of soup though. You have to think ahead for the details. This infographic, which has a rather depressing title, is called The End Is Near: Doomsday Would You Survive? and it’s by National Geographic Channel. If you want to know more about being a prepper, this will enlighten you a bit, but you should educate yourself a little everyday. 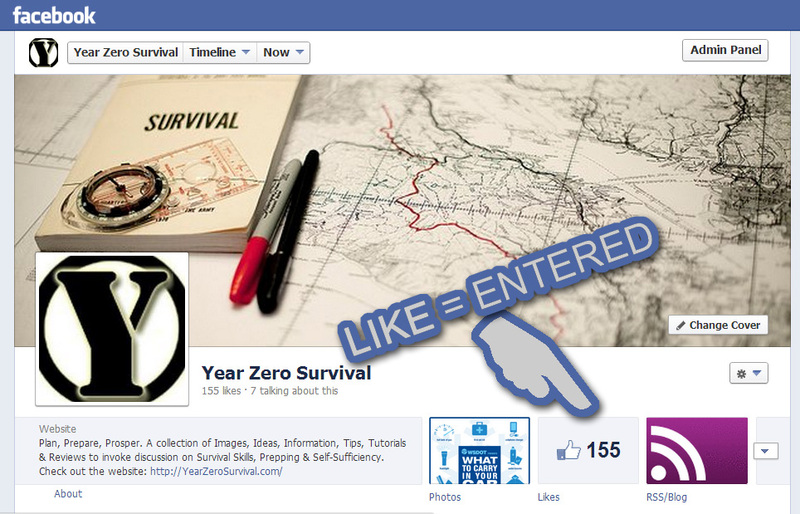 Be sure to follow this survival blog, and continue the learning process. 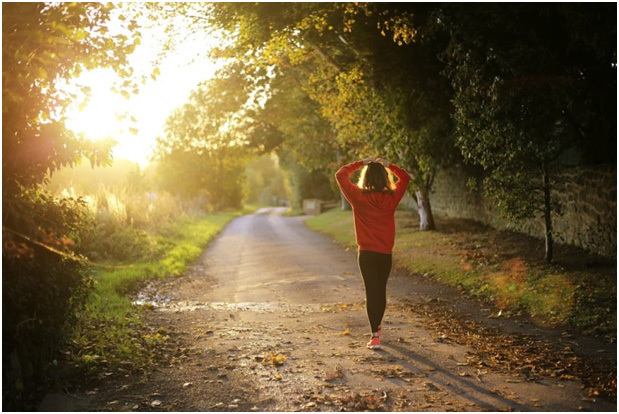 Here are some interesting facts and information about what it can take to be a prepper. We keep our chickens in big cages to keep them safe from predators and so we have an easy time finding the eggs. One of the biggest hassles of this is filling the waterers inside the cages, especially after it rains. I decided there had to be a better way. Here it is and it doesn’t cost a lot. 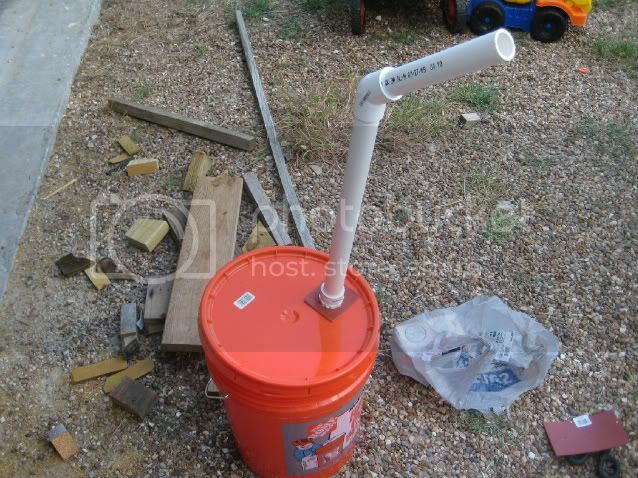 And some 1.5″ PVC pipe, some fittings, PVC primer and cement, some gasket material, and a valveI started by using a hole saw to cut a hole in the top of the bucket for the pipe to fit through. You can see that the hole ended up a little bigger than the pipe but I’ll take care of that. Here is the label from the gasket material I used. It comes in sheets. 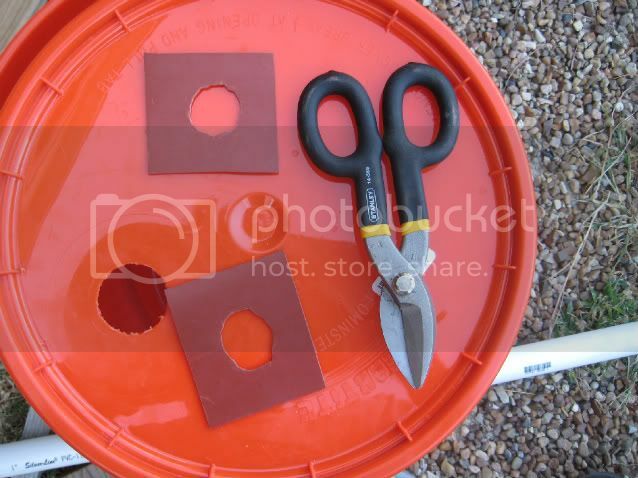 This kind came from Lowe’s but I’m sure you can get some at any hardware store.I used some snips to cut the gasket into squares and to cut holes into the squares. These were my first cuts, so to speak. I had to enlarge them a little to fit around the pipe perfectly. Here are the fittings I used. Put a gasket over the long threaded piece on the left, then put it through the hole. 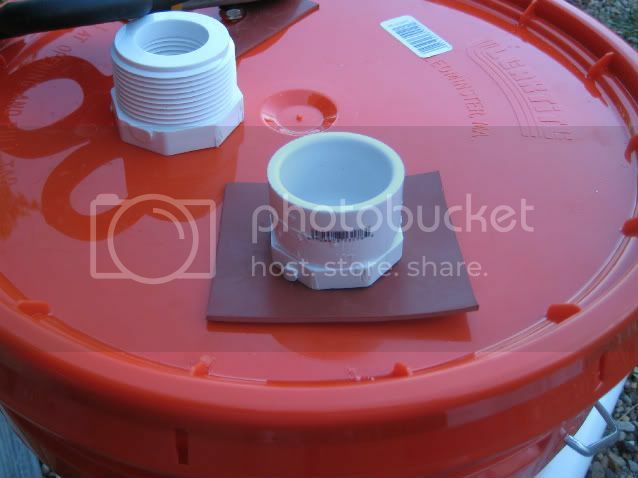 Put the other gasket over the fitting on the inside of the lid, then install the nut on the inside and tighten it up. Here it is with the gasket on the upper fitting. It looks a little sloppy but I don’t think the chickens will care. 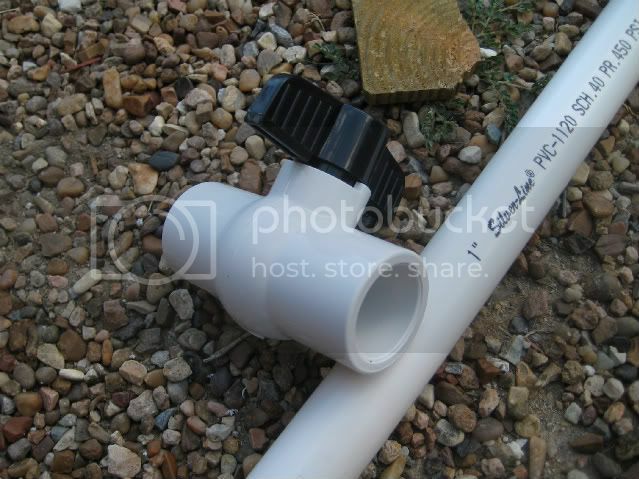 After you tighten up these fittings you need to make sure that the pipes and fittings fit together. Here is what it looks like. Then I used the PVC primer and cement to make the connections permanent. You probably don’t want to cement the valve on at this point because you will want to put the pipe through the side of your cage. If you have the valve cemented on you will have to cut a big hole in the side of your cage and then repair it. 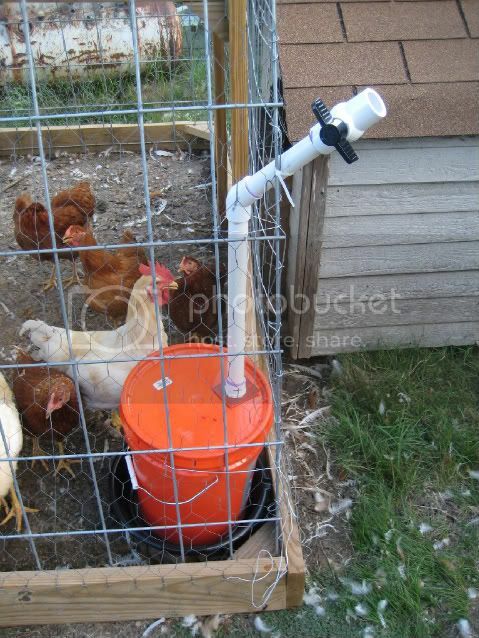 You might want to assemble this in your chicken cage to make sure you have the height and angle of the fittings correct before you use the cement. 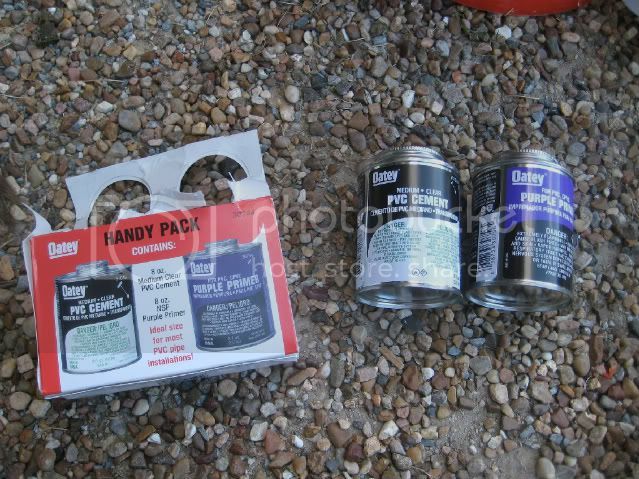 Here is the primer and cement I used. 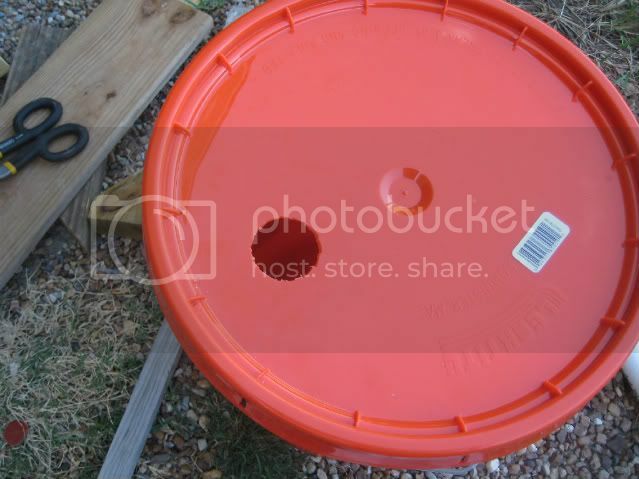 Next, I used a drill with a 3/16″ bit to drill four holes in the bucket about a 1/2″ above the bottom. Here is the assembly placed into the oil pan. Here is the assembly in the corner of the cage. Here is the valve I used. 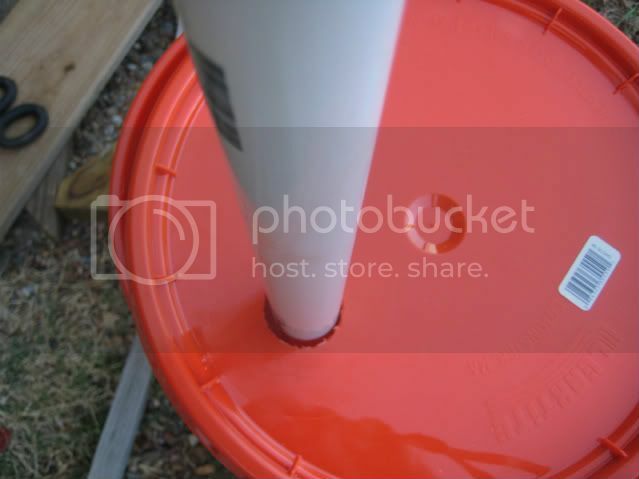 It will keep bugs and vermin out of the water tank and it creates a vacuum that keeps all the water from pouring out. 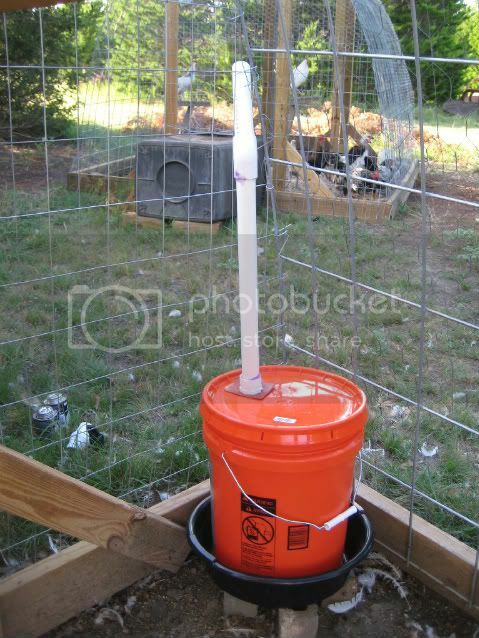 I used a tie wrap to hold the pipe to the side of the cage and used wire to hold the bucket steady. 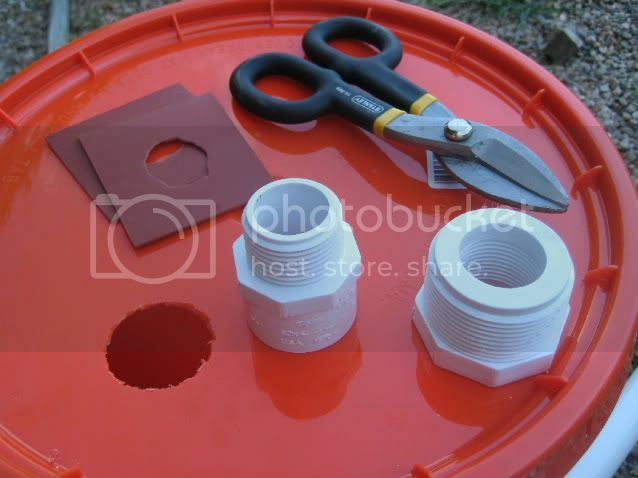 To fill it just turn on the garden hose, open the valve and pour water in. The pipe is big enough to let the air out while you are filling it. When you get it full just close the valve and you are done.The total cost was about $15 and now I don’t have to get my feet muddy when it rains.